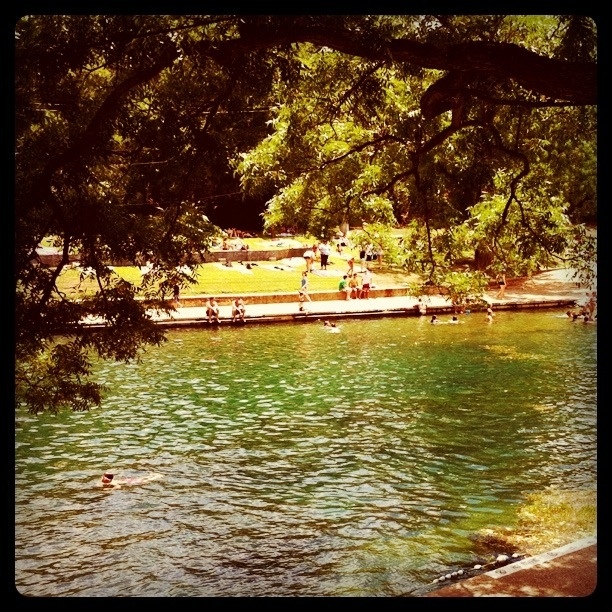 It is hot and all I want to do is submerge my entire person in the cool waters of Barton Springs. Austin’s treasured three-acre swimming hole is fed from underground springs at a relatively constant 68 degrees. Native Americans called Barton Springs the Sacred Springs and would use the water to heal their wounds. I won’t argue the Springs’ healing powers; it is a definite cure for the heat. Just be sure to wear plenty of sunscreen.